Next month a MWC, Lenovo is reportedly planning to incite feelings of nostalgia and cutting-edge tech lust with the Motorola RAZR 2019. 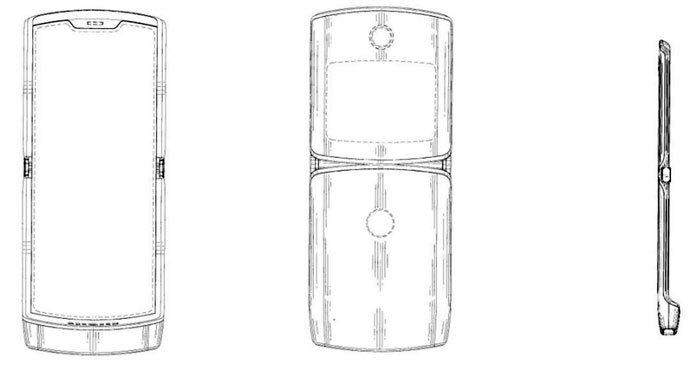 Now, thanks to a recent patent document, discovered by 91 Mobiles, we might have seen the outline design of this clamshell, designed for the foldable smartphone era. A quick glance through the patent illustrations reveals a phone design that matches the 2004 vintage RAZR V3 very closely. The handset folds in two and when unfolded is rather long with a protruding chin. A big difference in this opened-up functionality will be the lack of a physical keypad. When closed a smaller secondary screen is still visible for notifications and short snippets of info, and the like. If the elegance of the RAZR V3, regarded by some as a design classic, can be carried through to the present day, as per the patent illustrations, it could be a show stopper at the MWC 2019 next month. The patent, filed on 17th Dec with the World Intellectual Property Organisation (WIPO), makes no mention of the RAZR heritage but has been discovered just days after the WSJ revealed that Lenovo had decided to rekindle the sub-brand with folding screen smartphone tech. Like all the other folding smartphones we know about, the price tag seems astronomical – approx US$1500. Perhaps worried by the market acceptance of such pricing, Lenovo is said to be limiting initial production to 200,000 units. What's the overall advantage of a foldable smartphone? I guess it would protect the screen but it seems like a massive trade-off as you'd have to include mechanical elements (which would make it more prone to breakage - maybe not massively prone but compared to having no mechanical elements, definitely more prone), and compensate for large/split batteries to retain current battery life so you'd probably end up with something quite thick when folded, or with reduced battery life. What's the overall advantage of a foldable smartphone? More screen area, dual screen, and whatever else you could say was a pro about, for example, the Nintendo DS. Depending on how it was done, ie roll-up or single folding panel, it could mean one massive screen that makes tablets pretty useless. One thing I always liked about all my earlier folding phones was that it actually protected the screen and negated the whole screen-protector market - It's £45 for a Note9 protector!! How often have you known someone snap a Nintendo DS? GBA SP? Laptop? Other foldy thing? By comparison, how often have you known someone bend, break or crack their large glass phone screen? It's pretty simple to make a highly robust hinge these days. compensate for large/split batteries to retain current battery life so you'd probably end up with something quite thick when folded, or with reduced battery life. Large batteries aren't a problem, as they could do with being a touch bigger. Phones themselves are stupidly thin already anyway. I can't actually hold my Galaxy S5 securely without using an Otterbox, and the thinner it is, the easier it is to bend. Smaller phones, with bigger screens that fold/slide/roll away, can only be a good thing, no? My point is that more screen area (or not) will come with a trade-off and I can't see see value in that trade-off at the moment. You say more screen area but the plan in the article doesn't seem to demonstrate that. And eve if you did add a larger screen, it would still come with the necessary trade-off of more bulk. You could only add a larger screen and retain the same overall volume by reducing the size of another substantial component - and the only likely candidate for that is the battery. If you keep the screen (and the battery) roughly the same size as current phone but introduce a fold, you'd end up with something smaller, but thicker (akin to the DS in your example) with roughly the same volume. Personally I'd find the non-foldable ‘candy bar’ form a better fit in my pocket, but maybe there is a market for shorter, thicker phones. And I'm not saying that a hinge is likely to break (you gave plenty of examples of tough hinges), but a hinge is inherently weaker than not-a-hinge. And a phone kept in a pocket all day is likely to see move mechanical trauma than a laptop or console. Not sure about your battery point - large batteries are certainly better (loving the 4000mAh in my current phone), but large electrical capacity comes with large physical size and that inhibits this kind of form factor. My point, in a nutshell, is that a hinge is a (relatively large) mechanical element which must be accommodated in the mechanical design somehow, and that accommodation by definition will come at the expense of either a smaller battery (with a similar screen size to current) or a larger overall volume (larger screen and similar/larger battery). (I don't think adding a foldable screen will inherently improve the screen's survivability, though the materials the foldable screens are made of are presumably pretty shatter resistant - these materials could be implemented with or without a fold if you were simple looking to improve the durability of the screen). 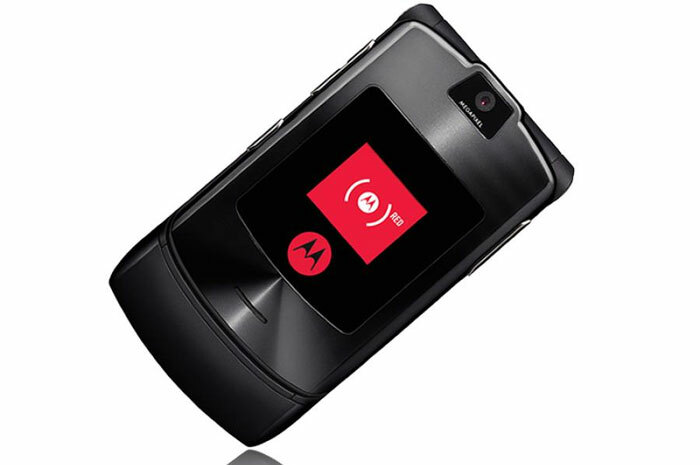 The RAZR V3 is still my favourite phone of all time. I hope this 2019 edition actually becomes something. You say more screen area but the plan in the article doesn't seem to demonstrate that. You didn't say it was this specific phone, just “a foldable smartphone”. If you want to talk about this specific phone, then yes it has far more screen space than the RAZR V3 of similar design. Probably the intent. The same follows with most smartphones, though - With a folder you could start with a normal size phone, but still unfold it for almost twice the screen space. And eve if you did add a larger screen, it would still come with the necessary trade-off of more bulk. Depends what you start with. Like I said, most phones are too thin for me already, and the need for bigger and bigger screens just means we effectively end up with a massive pane of glass in our pockets. But with most of the gubbins in one half, the additional screen would only be a few mil thick. Possibly less, with the right spatial planning. Already they're making laptops that are stupidly thin, so why not phones? You could only add a larger screen and retain the same overall volume by reducing the size of another substantial component - and the only likely candidate for that is the battery. Or rearranging the components half and half, so an even bigger battery taking up one side and the PCB fancy bits in the other. Opened up it'd still be the same as a normal phone, if not slightly smaller, but with more screen area to play with you could also spread things out to make them still thinner. Personally I'd find the non-foldable ‘candy bar’ form a better fit in my pocket, but maybe there is a market for shorter, thicker phones. There's definitely one - Already I have to wear cargo pants just to have a pocket that fits the phone! My favourite form factors have always been smaller, slightly thicker phones that are easier to pocket. My first Samsung even fit in the watch pocket of my jeans. If the current phone design gets any bigger, I'll be able to use it as a riot shield!! And I'm not saying that a hinge is likely to break (you gave plenty of examples of tough hinges), but a hinge is inherently weaker than not-a-hinge. Depends on the hinge - Hinges can easily be designed to over-flex. Rigid-frame bodies inlaid with glass, not so much. And a phone kept in a pocket all day is likely to see move mechanical trauma than a laptop or console. Depends how often you use it and how much you abuse it. None of my previous folders had damaged hinges, despite me habitually flipping them open like Captain Kirk… especially my old Star-Tac!! My point is that it'll only be a few mm thicker, which won't bring the sky crashing down on us. Seriously, the HTC Desire Z had a QWERTY keyboard on a hinge, which took up less than 2mm extra width and about 1½" length. It was frighteningly small, but ridiculously strong. Just the amount of times people drop their phones from bags or while accessing pockets, means it'll be hitting the floor closed, and thus protected. Statistics, y'see! though the materials the foldable screens are made of are presumably pretty shatter resistant - these materials could be implemented with or without a fold if you were simple looking to improve the durability of the screen. I've never shattered a screen. It's always been scratches and gouges, which even some fancy Gorilla protectors couldn't guard against. But again, I'm more interested in something smaller than my current phone, that opens out an even bigger screen than what's on the market now.